As many of my readers know, we recently moved. Whilst moving Ben and I decided to buy quite a few bits and bobs for our home which were flat packed. We spent hours sat down, reading instructions and then slowly screwing pieces of our flat packed furniture together. If I am honest it took us hours and in the end we became quite frustrated with the amount of time we were spending building things. 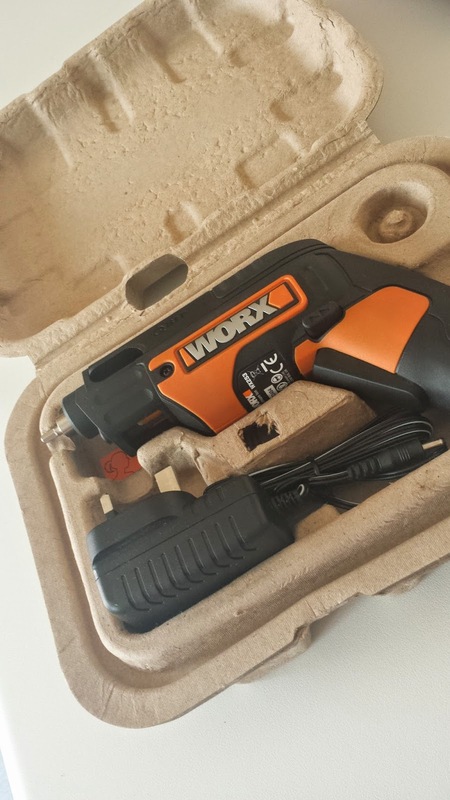 Ben and I now have more flat packed furniture to put up which we have been putting off, however just in time for Father's day we have received a Worx QBit Multi-Bit Cordless Screwdriver which will help us build our flat packed furniture quickly. 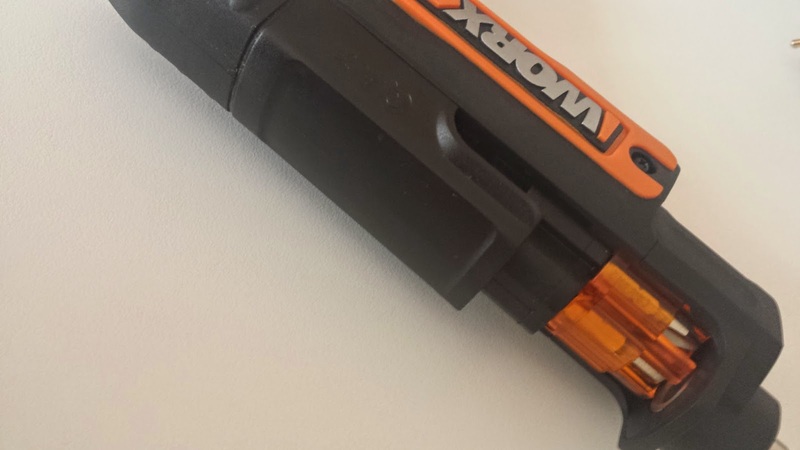 The Worx QBit Multi-Bit Cordless Screwdriver is a lovely gadget which comes all in one. The Worx QBit Multi-Bit Cordless Screwdriver comes with 6 popular bits inside its replaceable cartridge and can be filled with any bit according to your task. Instead of hunting around the house for screwdriver heads, the Worx QBit Multi-Bit Cordless Screwdriver allows you to save time as all the bits are there ready to use. The Worx QBit Multi-Bit Cordless Screwdriver is pocket sized which means it is perfect to not only use in your own home but also to take elsewhere. I was a tiny bit disappointed to see that the screwdriver did not have its own case and instead came in a cardboard case. Without it being in a case I am a tiny bit worried that the Screwdriver may get damaged in transport or when not in use however not having a case does not affect the screwdrivers use. A Li-Ion battery makes The Worx QBit Multi-Bit Cordless Screwdriver always ready to use whenever you need it. If the screwdriver has been laid in storage for months, the screwdriver should still work when you go to use it. When you do find yourself needing to charge the screwdriver you will only have to wait 3-5 hours until it is fully charged which is fantastic in my eyes. The Screwdriver itself is lightweight and includes 1 speed setting. A few of my favourite features which the screwdriver includes are the brilliant built in LED. The LED allows me to use the screwdriver in dark spots. This feature is extremely handy. Another one of my favourite features is the fact that the screwdriver has a reverse function. If a screw is wrongly screwed in, it would take a matter of seconds to get the screw out thanks to this easy to use feature. The Worx QBit Multi-Bit Cordless Screwdriver come with a 3 year warranty. You are able to purchase The Worx QBit Multi-Bit Cordless Screwdriver from Argos this Fathers Day. This is one tool my hubby would love for fathers day , may be I should get it and daughters could give it to him. My husband would love this - but not as a Father's Day gift - that's like me getting an iron for my birthday lol. Tools are one thing that most men go gaga over! 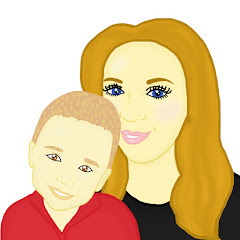 I'm sure my husband would love this! My husband loves his cordless screwdriver and says it's the best tool he's ever bought!